Deeply penetrating, this ultra moisturizing treatment hydrates and heals. It pairs beautifully with our Body Oil Infusion. 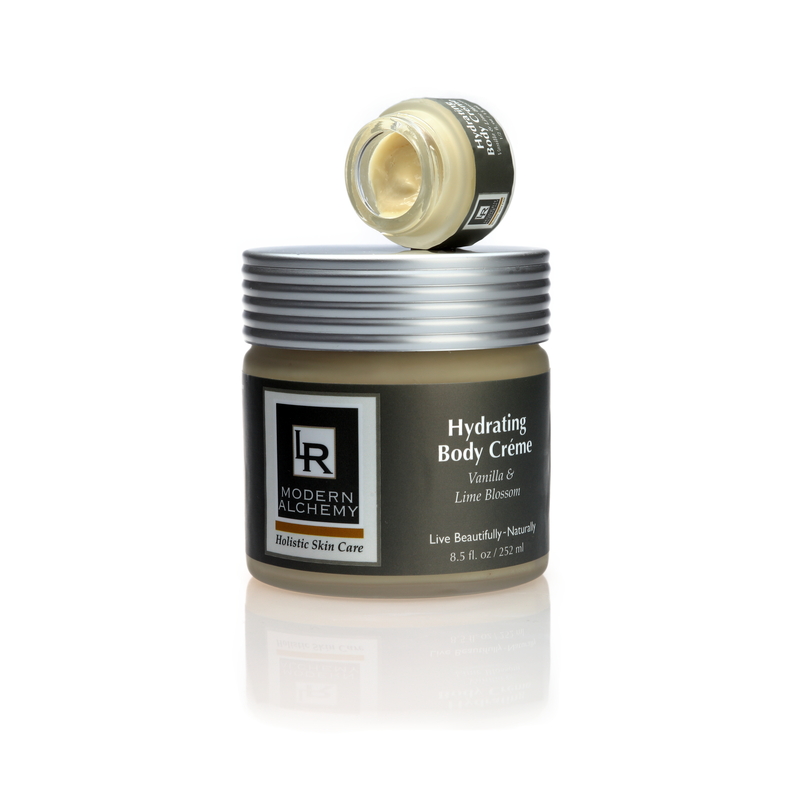 Apply to the whole body and allow to absorb; for exceptional dryness, reapply for added moisture and protection. May be used morning and evening or as often as needed. Organic Aloe barbadensis Leaf Juice, Simmondsia chinensis (Jojoba Oil), Caprylic/Capric Triglyceride, Glycerin, Cetearyl Alcohol, Tocopherols (Vitamin E), Glyceryl Stearate, Prunus armeniaca (Apricot Kernal Oil), Theobroma cacoa (Cocoa Seed Butter), Butyrospetmum parkii (Shea Butter), Triticum vulgare (Wheat Germ Oil), Rosmarinus officinalis (Rosemary Leaf Extract), Xanthan Gum, Capriylyl Glycol, Lecithin, Benzyl Alcohol, Dehydroacetic Acid, Certified Organic Oils of Oenothera biennia (Evening Primrose), Persea americana (Avocado Oil), Calendula officinalis, and Arnica montana. With Pure Essential Oils of Vanilla planifolia (Vanilla absolute), Citrus aurantifoli (Lime Blossom), Santalum spicatum (Sandalwood), and Lavadula angustifolla (French Lavender). I have looked a long time to find an effective moisturizing and lovely smelling body cream, and I have finally found it in this product.